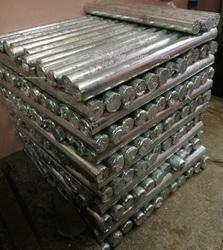 The company has brought commercial production of Lead Anode made by Lead-Silver Alloy or as per desired specification made the customers. - We have developed very efficient shapes and sizes with years of experience. - Pure Lead or Refined Lead will be of 99.97 or 99.99% Purity. - Other major impurities associated with lead are Bismuth, Silver, Copper, Antimony, Tin, Arsenic, Sulphur, Nickel, Chromium, Zinc, and Cobalt etc. - The total of these impurities will be less than 0.01 or 0.03 depending on the purity of the end product. We are amongst the leading manufacturers and exporters of pure lead that is processed with the aid of our advanced facilities. Highly renowned for purity of 99.97% our array finds wide application in the industry and is extensively used for manufacturers of Batteries, Pigments, Chemicals, Stabilizers and Solder. A bluish grey metallic element. 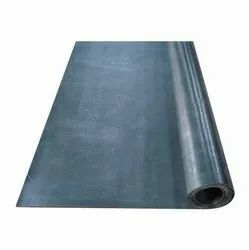 Metallic lead is soft, very ductile and is a poor electrical conductor. A newly cut lead surface has a light, silvery shine, which quickly changes into the characteristic bluish grey colour. This heavy metal melts at 328 C and boils at 1, 740 C.